Strange Stall/ No Start - Overheated coil? 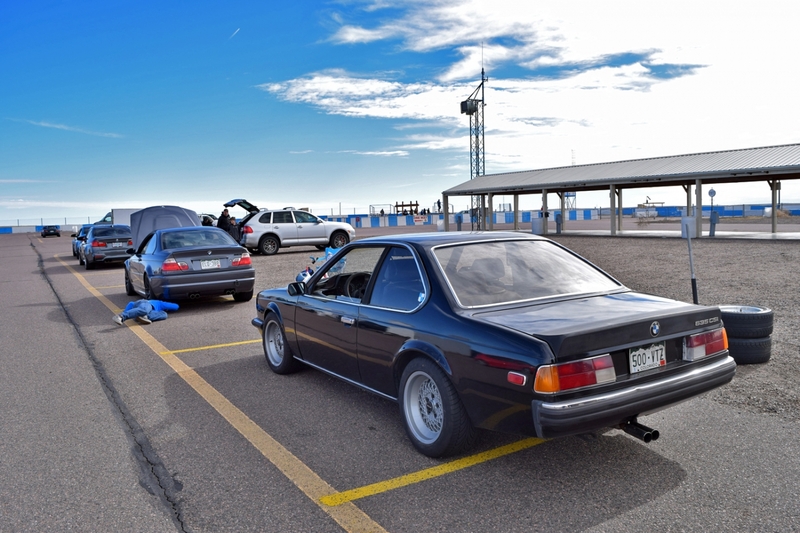 I took my '80 635 to the road course yesterday and was having a pretty good day until the car stalled out on my midway through a session. It sputtered slightly for a second or two and then just cut off totally. I got a tow back to the pits and then checked fuel pressure. All seemed to be working and we ultimately determined the car wasn't getting spark. Reseated the plug to the coil and it started back up 45 minutes later. I drove another 15 minutes of a session since it was the end of the day and the same thing happened. Everybody said check speed/ref sensors, but I they didn't realize Ljet cars didn't use those type. I didn't have a multimeter to test parts but we found no spark. Put the coil on an E30, it worked, put it back on my car and I was able to drive it 60 miles home without hiccup. Do i need to try and look at solder joints in my ECU? Do i need to investigate replacing my CTS? Carry a spare coil in my trunk? Those seem to be the 3 potential causes... Combo relay I bought new in 2010. Last edited by tschultz on Tue Nov 06, 2018 11:03 am, edited 1 time in total. Re: Strange Stall/ No Start - Overheated coil? I have a good ECU that you can try out if you like. Could also be your FPR? I suspect the way it stalled (immediately and with a bit of misfiring right before) that it is ignition related rather than fuel. Also with the way it drove home, the rotor, plug wires and spark plugs didn't suddenly go bad. So the problem is before those items leaving the coil or ECU as the main culprits in my mind. I do know that the CTS can leave you stranded, so that was the only other possiblity in my mind (besides maybe combo relay). The intermittent problems are always the most difficult to diagnose-- the car will still start and run fine. Check the ballast resistors and wiring to them. If it's getting a full 12V when it should only be getting 6V (or whatever, I don't know the spec) it could lead to an overheated coil. Not on BMWs, but I've heard of that happening on other cars. Agree with this - if your ballast resistor is shorted out the coil will get the full 12v which it isn't designed for, will heat up and the resistance of the coil will go up until it's too high to generate the spark. Something else I learned while trying out a MSD ignition - the coil needs to have the right resistance and voltages to drive the ECU. Anything out of spec and the ECU won't understand the pulses, so won't trigger the injectors even if its sparking. A replacement coil wouldn't be a bad thing to change out if you're still running the original. I hadn't heard of this part, thanks guys, I will have to look into it! Some suggest about 8V to the coil. 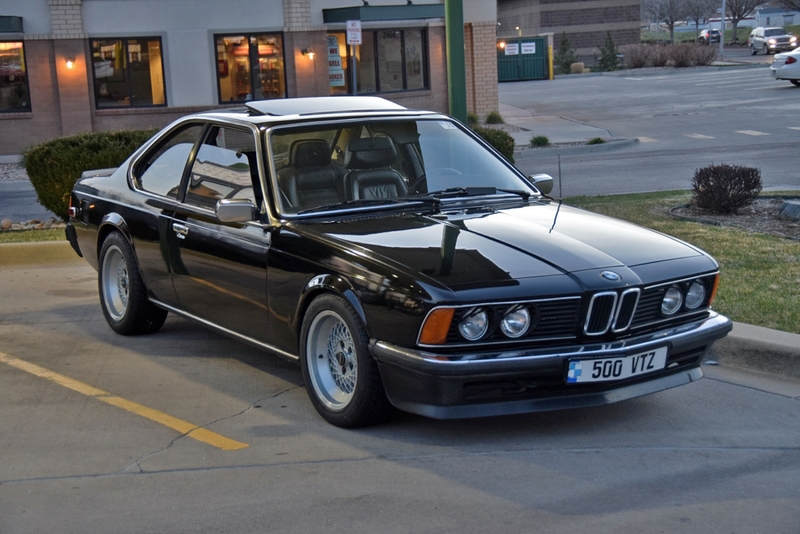 BMW did some transitional things on early 635s, but since you said L jet it should have a conventional distributor, correct? In that case the ECU only gets a signal from the dist to fire the injectors, it has no role in spark. However there is a control unit for the ignition which has been know to fail. I've put a couple of hundred thousand on them without a failure, but there are stories. On E12s and I think E24s it's mounted down by the washer bottle, a ~3" X 3" X 1.5" aluminum box. Availability seems to go up and down but I've got one or two I could be persuaded to part with if you do need one. As a related story on the interconnection, on my first E12 I had a bad FPR that led to occasional flooding on startup. I would unplug the ECU in the glovebox, turn the key and it would fire up and run briefly on the excess fuel still in there. It would then die as the fuel burned off so I'd shut it off, plug the ECU back in and away I'd go. I was about to suggest the ignition control unit (ICU) for the transistorized ignition as Mike W is describing. W described over near the washer reservoir and passenger side head lamp cover. Harness will have a rectangular plug with something like 5-8 pin connections in two rows. That's all straight from memory, so hope I got it mostly right. I bought a nice rebuilt ICU years ago. That place is still around. If that sounds interesting, I can look up the name rather than misspell it. Thanks guys, I'm hoping to poke around later today and see what you both describe. The box you describe Robert sounds like it could be the culprit. I have seen this and always wondered what it was. as sophisticated as electronics were in the late 70s. I can take a look in my factory manual this weekend. I've also got a Haynes manual I need to fish out. There's been some threads about repairing them in the past, IIRC it was bad solder joints or something. So you might find something in a search. Never had any troubles with one so I've never been inside one myself. It started up for me fine multiple times tonight. I decided to put in the Bosch W8DC spark plugs and replace the Autolite's although those have been in the car for years. I know my parts work but the ballast resistor or ignition control unit may be intermittantly faulty. I’ve read stories about this happening when oil pump pressure relief valves get stuck closed. The M30B28 pump in my car doesn’t have a relief valve, I don’t think, but E12ers with larger displacement engines that do might have some experience here. I don’t know about the E24 but accessing the oil pump on the E12 is not trivial. On the E12 getting the oil pan past the sump tube is complicated by the sway bar and the front subframe. Hope there’s another explanation - good luck!